I love your blog. This book sounds like a winner! Dying to read this one. I read the opening pages on Amazon and it looks great. I've heard such great things about this book. Thanks! I've only seen the first episode of Firefly, so I don't know if that's enough to form an opinion. 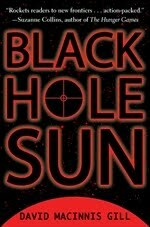 I think I'd like to give this book a try though, especially since I love science fiction. I've been considering getting this one - I'm glad to hear that you enjoyed it! I am really interested in this one. I love Firefly and space westerns! Thanks for the giveaway. I loved Firefly and thought that Mal was really cute. He is doing this mystery series now, but I don't watch it. I also love the title to this book, and think all the snarkiness sounds really fun. It's too bad that the secondary characters aren't really that fleshed out, but it sounds like it really makes up for it in other ways. I'd love the chance to win a copy, Lenore, so please do enter me in your giveaway!! This book sounds so good! I know I'd love it and I'll bet my 13 year old would too. I saw this in the bookstore the other night and almost picked it up! (Went with Forest of Hands and Teeth and The Maze Runner instead.) I'd love to get a copy to continue feeding my dystopia kick! This one looks so good! Great review. Am I the only one with Chris Cornell singing in my head? I thought the other characters were very easy to tell apart. One is short and mouthy and blows things up. The other is big, goofy, and shoots things. What else does a guy need? This book sounds great! Thank you for reviewing it. I love dystopian novels. Count me in for this one. Whether I win or not, I love your blog..and especially this last month of Dystopian books. You made forming my reading list easy. This sounds like a great book - and I have not heard of it. Thanks for the recommendation. I would love to be entered into the contest! I'd love to read this, thank you! Oh lovely! I want to read this, since Collins gave a good review, along with yours. Also has a neat cover.